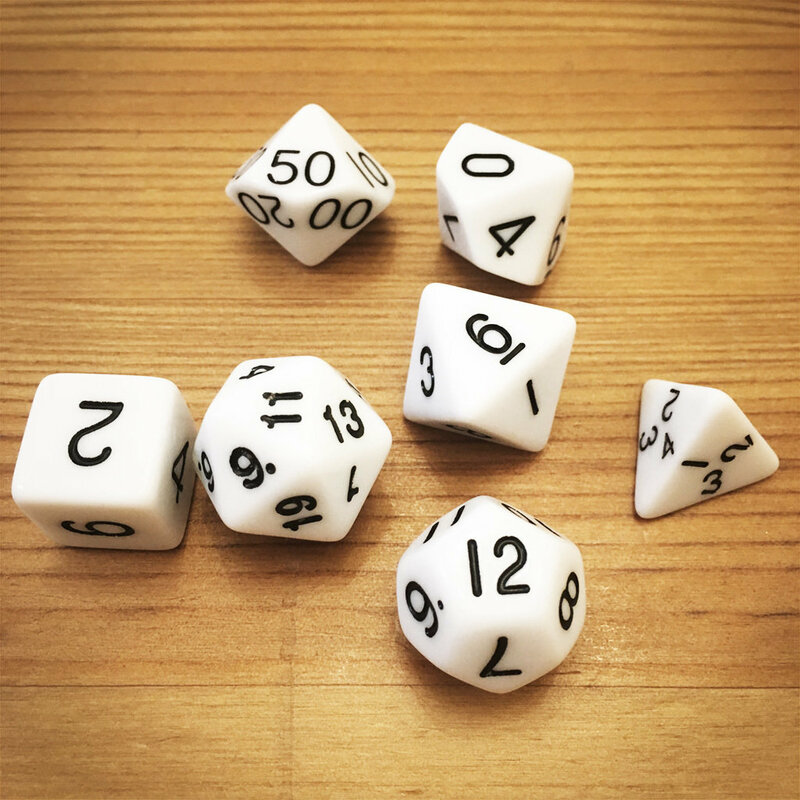 Dice Set – White | Dice – Geek Girl Stuff – Geekery, art, jewelry, and more! One set of gaming dice! These dice are white with black numbers. Perfect for your favorite tabletop role playing games!